Good Evening all, in this session I’m going to present some of the issues in drive design in the field of Electric Vehicle. 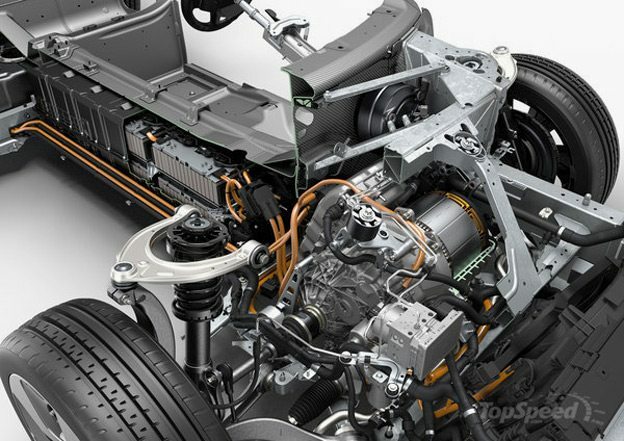 GM's new electric drive module in the 2014 Spark EV features a GM-designed-and-manufactured 120-kW permanent magnet traction motor (visible on the left side) and smart use of key carryover components from Volt and the two-mode hybrid transmission. 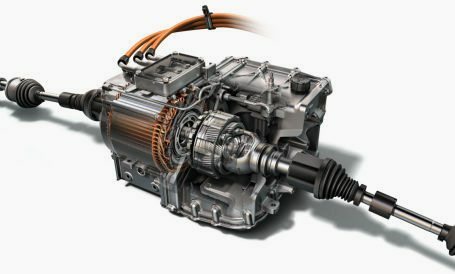 In EVs, only traction motor delivers torque to the driven wheels. Thus the vehicle performance is completely determined by the torque speed or powerspeed characteristic of the traction motor. A vehicle, in order to meet its operational requirement, such as the initial acceleration and grade ability with minimum power mentioned above, operation entirely in constant power is needed. Operation entirely in constant power is, however, not possible for any practical vehicle. It can be observed that the EV motor drive is expected to be capable of offering a high torque at low speed for starting and acceleration, and a high power at high speed for cruising. At the same time, the speed range under constant power is desired as wide as possible. Ideally, eliminating the constant torque region would provide the minimum power rating of the motor, but this is not physically realizable. Under the normal mode of operation, a typical electric motor drive designed for industrial applications can provide constant rated torque up to its base or rated speed. At this speed, the motor reaches its rated power limit. The operation beyond the base speed up to the maximum speed is limited to this constant power region. The range of the constant power operation depends primarily on the particular motor type and its control strategy. The maximum available torque in the natural mode of operation decreases inversely with the square of the speed. Although the machine torque in the natural mode decreases inversely with the square of the speed, for some extremely high speed motors the natural mode of operation is an appreciable part of its total power-speed profile. Inclusion of this natural mode for such motor drives may result in a reduction of the total power requirement. The power requirement (rated power) for acceleration performance (acceleration time and acceleration distance) decreases as constant power region ratio increases. Conversely, the torque requirement (rated torque) for acceleration increases as constant power region ratio increases. This results in a larger motor size and volume. Passing performance (passing time and passing distance) suffers considerably as the constant power region ratio increases. A motor’s maximum speed has a pronounced effect on the required torque of the motor. Low speed motors with the extended constant power speed range have a much higher rated shaft torque. Consequently, they need more iron and copper to support this higher flux and torque. As motor power decreases (due to extending the range of constant power operation), the required torque is increasing. Therefore, although the converter power requirement (hence the converter cost) will decrease when increasing the constant power range, the motor size, volume, and cost will increase. Increasing the maximum speed of the motor can reduce the motor size by allowing gearing to increase shaft torque. However, the motor maximum speed cannot be increased indefinitely without incurring more cost and transmission requirements. High instant power and high power density. High torque at low speeds for starting and climbing, as well as high power at high speed for cruising. Very wide speed range including constant-torque and constant-power regions. High efficiency over wide speed and torque ranges. High efficiency for regenerative braking. High reliability and robustness for various vehicle-operating conditions. Downsizing, weight reduction, and lower moment of inertia. The main dimensions of the stator. V.Vishnuteja completed his Bachelors in Electrical Engineering from Chaitanya Engineering College ,Visakhapatnam in 2012 and is presently pursuing his Masters in Power Electronics & Drives at SRM University,Chennai. At present,he's working as intern @ Non-Ferrous Materials Technology Development Center (NFTDC),an autonomous R&D center in Hyderabad,India in the area of Motor Design for Electric Vehicle. His areas of interest are Electrical Machine design,Electric Drives, Alternate Energy Sources and Power Electronics.He' working with computer aided design & simulation softwares like Motor Solve, SPEED and MATLAB- Simulink. He's a Associate Student Member of IEEE and one of the active authors of Mathworks Fileexchange. Is the rest of the article available only for premium members? It’s not clear if there are further parts of the article as mentioned above i.e. 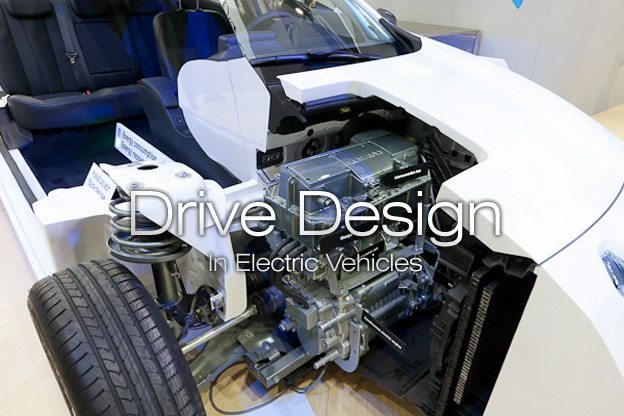 Excellent ovreview of designing of drive in EV! Thanks!